EU Funds Management : What are you looking for? 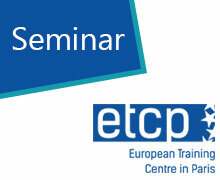 ETCP invites you to its seminars before summer break – only a few seats available 1.How to get a general overview of EU Funds Management? 2.How to better detect and correct errors and prepare closure? 3.How to improve your communication action plan? ETCP thanks all participants attending our seminar last week about verification, it was a pleasure to welcome you in Paris! 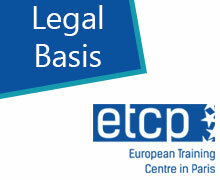 ETCP thanks all participants attending our seminar last week in Brussels! it was a pleasure to welcome you in Brussels! Special event to help you to better anticipate closure conditions and steps to monitor and limit the risk of decommitment. If you are interested by this topic, please contact us we can organise seminar on the spot ! It was a pleasure to welcome you in Paris last week, thank you to all participants and to our lecturers Susanne Volz and Franck Sottou. 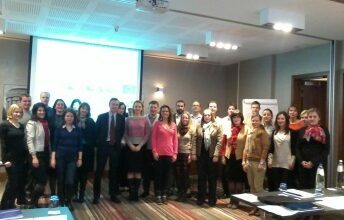 This year our workshop dedicated to Certification and Audit has been extended to 3 days to go more into details with special focus on 2014+ ; this seminar aims to improve your management and control skills based on reasonable assurance and get the best out of Audit and Certification work based on the best practices specific to EU Funds. How to improve programming,monitoring and evaluation ? How to improve financial instruments? ETCP thanks all participants attending our seminar last week about general management, it was a pleasure to welcome you in Paris! New brand 5-day seminar with special focus on 2014+ and a practical case to go more into detail to your daily work of managing EU Funds: Getting step-by-step essential knowledge about the key points of EU funds management at programme and project levels, Introduction to simplification and more efficient procedures. For the ones who were not in Paris last week, you can already register for next session on 1 to 5 July 2013, please go to our online registration page to guarantee seat. The European Commission has adopted the 2007-2013 Closure Guidelines for cohesion policy programmes on 20 March 2013. More information and links to guidelines in your langage on European Commission Info Regio website. 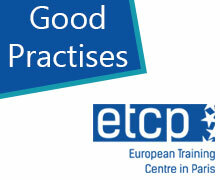 ETCP organises in Brussels from 8 to 9 April a special event on “The Success conditions for N+2 and Closure” to help you to better anticipate closure conditions and steps to monitor and limit the risk of decommitment. It was a pleasure to welcome you in Paris last week, thank you to all participants and to our lecturers Alec Fraser and Franck Sottou. This year our workshop dedicated to Monitoring and Evaluation has been extended to 3 days to go more into details and deliver a set of explicit indicators reflecting European and national priorities and get an action plan to improve on-going monitoring and evaluation with special focus on 2014+ (New common indicators, Specific guidance for ESF and Monitoring, New Theory of Change).